This unusual orchid is probably Gongora tricolor. The shapes of orchid flowers are among the most intricate in the plant kingdom, and usually related to how they are pollinated. 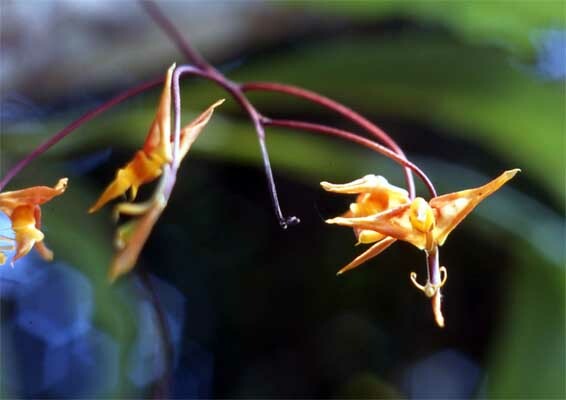 This genus is characterized by unusually shaped flowers, even by orchid standards! In this instance, the reason for the shape of the flower is unknown.